Naradevi is an inner-city traditional settlement that is densifying outside of official rules and regulations through the addition of storeys to existing structures; the construction of new, taller buildings; and the subdivision of jointly owned properties. Densities are currently as high as 2,112 people per hectare. The original owners who can afford automobiles have begun to migrate to suburban areas where vehicular accessibility is better. In Moratuwa, Sri Lanka, the tsunami disaster of 2004 forced new ways of working on both organizations of the urban poor and local authorities. Building on this experience, an emerging federation of the urban poor (built on community savings groups) has been collaborating with local authorities to secure land and adequate housing in two deprived settlements unaffected by the tsunami. This article examines these recent initiatives and their citywide relevance. Diane Archer, researcher with IIED's Human Settlements group, spoke with Somsook Boonyabancha, secretary-general of the Asian Coalition for Housing Rights (ACHR) and International Institute for Environment and Development (IIED) Board of Trustees member. Somsook answered 4 key questions about urban density, watch the interview below. 8.8 million people live and work in Bangkok. A city in which the cost of living is increasing every day. Those on a low income play an important role in city life, providing services that support the daily lives of others. 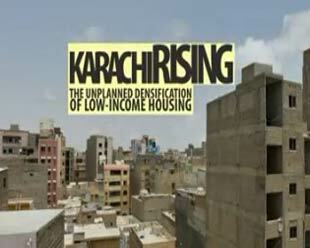 This film explores the question of how those on low income live in the city. This section links to research material by city. Documents and links listed under each city are sourced from organizations other than IIED. They have either been reproduced with permission, or are linked to other websites. 'Alternative Routes' intends to collate as much relevant material under one banner as possible. If you have information you wish to share, or that you believe is relevant to the study of urban density, please contact us. Decent, affordable and accessible housing for all city dwellers is surely a desirable goal. However, in a large city like Bangkok (official population: eight million in 2010) ensuring adequate and affordable housing for all can be difficult. There are multiple competing pressures for land, and private commercial developers play a big part in shaping both land and housing markets. One approach to maximising land usage is through high-rise construction ("densification"). We consider the distribution of economic activity within a country in light of three leading theories - increasing returns, random growth, and locational fundamentals. Many complex factors influence the sustainability of urban forms and patterns. The scale at which such forms and patterns occur is crucially important when responding to urban challenges in pursuit of sustainability.